Researchers of NANBIOSIS U12. Nanostructured liquid characterization unit, organize a course on advanced encapsulation technologies together with the Consorci Universitat Internacional Menéndez Pelayo Barcelona (CUIMPB) – Center Ernest Lluch whose objective is to provide attendees with the basic concepts about micro and nanoencapsulation techniques,including fundamentals and methods of preparation, as well as new applications in the chemical, cosmetic and pharmaceutical fields, among others. Scientists of NANBIOSIS U6. Biomaterial Processing and Nanostructuring Unit, have recently pubished an article in the ACS Omega about the design 0f 3D platforms specific for T cell culture to improve the current T cell expansion systems to introduce new in vitro models and facilitate the broad use of ACT in the clinics. Adoptive cell therapy, i.e., the extraction, manipulation, and administration of ex vivo generated autologous T cells to patients, is an emerging alternative to regular procedures in cancer treatment. Nevertheless, these personalized treatments require laborious and expensive laboratory procedures that should be alleviated to enable their incorporation into the clinics. With the objective to improve the ex vivo expansion of large amount of specific T cells, we propose the use of three-dimensional (3D) structures during their activation with artificial antigen-presenting cells, thus resembling the natural environment of the secondary lymphoid organs. Thus, the activation, proliferation, and differentiation of T cells have been analyzed when cultured in the presence of two 3D systems, Matrigel and a 3D polystyrene scaffold, showing an increase in cell proliferation compared to standard suspension systems. Senescent cells are damaged cells that do not perform their normal roles anymore but that are not dead –hence they are commonly known as zombi cells. These cells interfere with the functioning of the tissue in which they accumulate. Senescence is a cell program that is triggered by many types of damage and senescent cells are present in many diseases. They accumulate in diverse types of tissues during aging, thus contributing to the progressive deterioration associated to aging. Eliminating these zombi cells is one of the challenges facing science today. 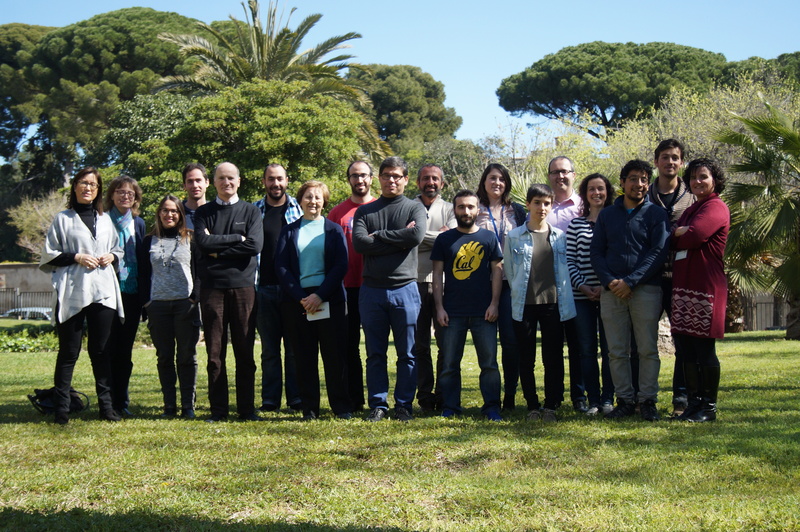 In the Cellular Plasticity and Disease lab headed by the ICREA researcher Manuel Serrano at the Institute for Research in Biomedicine (IRB Barcelona) and supported by “la Caixa” Banking Foundation, the researchers devise strategies to eliminate senescent cells. In a study published in EMBO Molecular Medicine, they present a proof of principle of a drug delivery system with selectivity for tissues that harbour senescent cells. In collaboration with a team headed by Ramón Martínez-Máñez, Scientific Diirector of NANBIOSIS Unit 26 NMR: Biomedical Applications II , the IRB Barcelona scientists have exploited a particular hallmark of senescent cells in order to design a delivery system that specifically targets them. They have demonstrated its efficacy in cells in vitro and in two experimental mouse models, namely pulmonary fibrosis and cancer. These diseases are characterized by the presence of damaged cells, and in the case of cancer this is particularly true after treatment with chemotherapy. In these models, the senescent cells take up the carrier more efficiently than other cells and once inside the cell the casing of the carrier degrades to release the drug cargo. When the nano-vehicles contained cytotoxic compounds, the senescent cells were killed and this resulted in therapeutic improvements in mice with pulmonary fibrosis or with cancer. 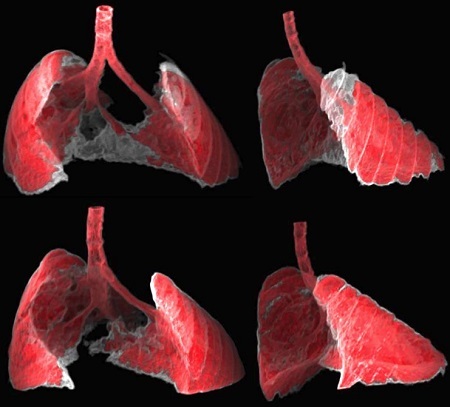 “This nano-carrier may pave the way for new therapeutic approaches for serious conditions, such as pulmonary fibrosis or to eliminate chemotherapy-induced senescent cells,” explains Manuel Serrano. Another outcome of this study is that these nano-carriers could be used for diagnostic tests of senescence as they can transport a fluorescent compound or marker. This study, performed by IRB Barcelona in collaboration with the Universidad Politécnica de Valencia, CNIO, the University of Cambridge, CIBER-BBN, and the company Pfizer in the US, is a step towards achieving the capacity to eliminate senescent cells. Developing tools to specifically eliminate senescent cells is currently a central goal for many pharmaceutical companies, among them the one set up by Manuel Serrano himself together with Ramón Martínez-Máñez and José Ramón Murguia, Senolytic Therapeutics, which is located at the Barcelona Science Park and in Boston. Spanish Goverment has granted a “Network of Excellence”: ICTS 2017 SAF2017-90810-REDI”, with the maximum funding of 89,700 euro to consolidate the unified management model of NANBIOSIS, to boost its internationalization and strategic positioning as well as to promote a complete cascade service for nanomaterials characterization. The two years lasting project has been granted within the frame of the National Programme for Fostering Excellence in Scientific and Technical Research. This Excellence project, funded by the Spanish Ministry of Economy and Competitiveness, will consolidate and promote the One Stop Shop model of NANBIOSIS, which facilitate to public and private centers of research and companies a simply and competitive access to an offer that ranges from the product´s design and procurement itself, its development and characterization up to the complete pre-clinical validation. The actions of this project are also aimed at giving continuity to initiatives launched in the project financed in the 2015 call, as well as the implementation of strategic actions such as the new singular services or others contemplated in Marketing Plan related to the promotion and creation of strategic alliances. All this will contribute to continue increasing the visibility of NANBIOSIS, consolidating it as a scientific-technical model open to the development of competitive research in the national and European framework and strengthening the R & D & I capacities through the promotion of the interconnection between distributed infrastructures and the development of integrated, advanced and unique collaborative services. The program includes governance actions, actions to promote and manage access, strategic planning actions, dissemination and dissemination and promotion of joint R & D activities..
Scientists of Unit 8 of NANBIOSIS are co-authors of the article “Resemblance of the human liver sinusoid in a fluidic device with biomedical and pharmaceutical applications“, recently published by Biotechnology and Bioengineering. The fabrication of Exoliver was performed by the platform of Production of Biomaterials and Biomolecules of the ICTS, more specifically by the “NANBIOSIS,” Unit 8. Maintenance of the complex phenotype of primary hepatocytes in vitro represents a limitation for developing liver support systems and reliable tools for biomedical research and drug screening. We herein aimed at developing a biosystem able to preserve human and rodent hepatocytes phenotype in vitro based on the main characteristics of the liver sinusoid: unique cellular architecture, endothelial biodynamic stimulation, and parenchymal zonation. Primary hepatocytes and liver sinusoidal endothelial cells (LSEC) were isolated from control and cirrhotic human or control rat livers and cultured in conventional in vitro platforms or within our liver‐resembling device. Hepatocytes phenotype, function, and response to hepatotoxic drugs were analyzed. Results evidenced that mimicking the in vivo sinusoidal environment within our biosystem, primary human and rat hepatocytes cocultured with functional LSEC maintained morphology and showed high albumin and urea production, enhanced cytochrome P450 family 3 subfamily A member 4 (CYP3A4) activity, and maintained expression of hepatocyte nuclear factor 4 alpha (hnf4α) and transporters, showing delayed hepatocyte dedifferentiation. 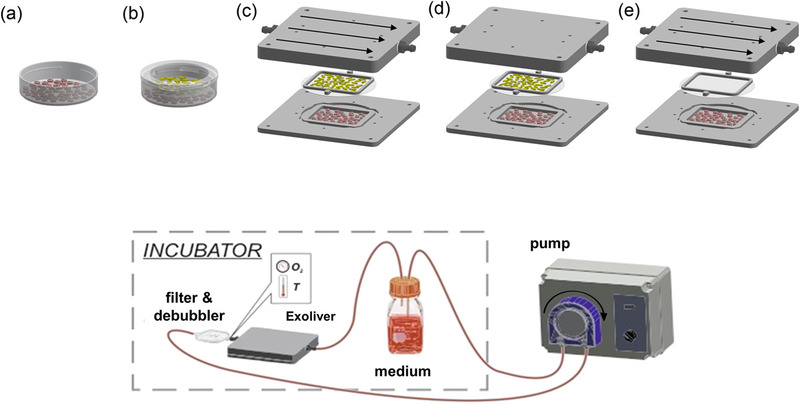 In addition, differentiated hepatocytes cultured within this liver‐resembling device responded to acute treatment with known hepatotoxic drugs significantly different from those seen in conventional culture platforms. In conclusion, this study describes a new bioengineered device that mimics the human sinusoid in vitro, representing a novel method to study liver diseases and toxicology. The general consul of France in Barcelona, ​​Mr. 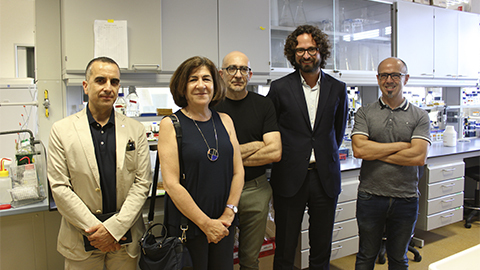 Cyril Piquemal visited the IBB UAB facilities last July 18, to find out about the research that is being carried out and, in particular, explore possible collaborations in nano-pharmacy development projects. Next, the mayor visited the facilities and laboratories of the Institute and met with the researchers Esther Vázquez and Antonio Villaverde, (NANBIOSIS U1. Protein Production Platform (PPP)), and Ugutz Unzueta and Ramón Mangues, (NANBIOSIS Unit 18 Nanotoxicology Unit) at the Institute of Research of the ‘Hospital de la Santa Cruz and San Pablo, to find out about the research in the development of nanoparticles for metastases treatment by means of the selective elimination of tumor stem cells. 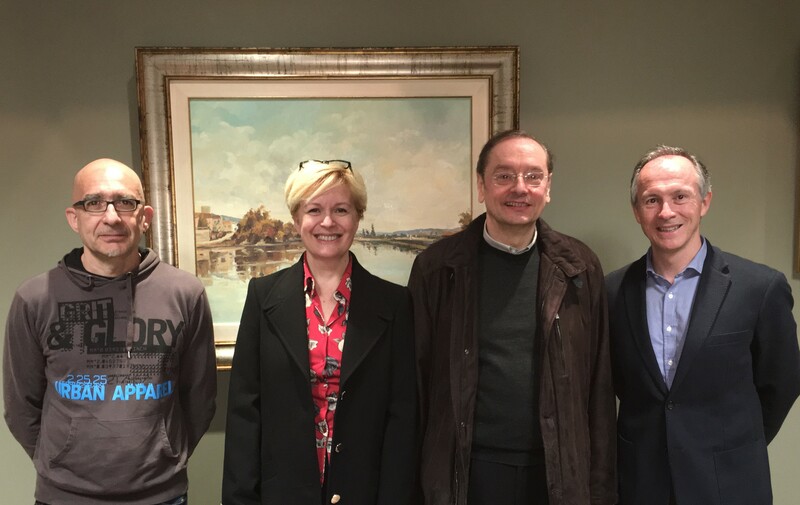 The purpose of the meeting was to explore possible collaborations between the University and the Consulate, an entity that aims to connect research groups and venture capital funds with the Catalan biotechnology ecosystem. As a result of a collaboration in the context of the EC-FP7 program OCEAN 2013, NANBIOSIS Unit 2 Custom Antibody Service (CAbS) and Unit 4. Biodeposition and Biodetection, the research groups coordinating this NANBIOSIS Units have recently published an article titled “Interferometric nanoimmunosensor for label-free and real-time monitoring of Irgarol 1051 in seawater” in the scientific magzine iosensors and Bioelectronics. The CIBER-BBN-ICN2 group Nanobiosensors and Bioanalytical Applications, led by Prof. Laura Lechuga has developed the immunosensor that is described in the article using immunoreactive, produced in the group of Nanobiotechnology for Diagnostics Group (Nb4D), led by Prof. Pilar Marco, with the collaboration of CAbS, for Irgarol 1051. This compound is an alguicide used as an additive in the paintings of ships. Over time, the compose is being released into the marine environment causing a risk to the ecosystem and to the health of the population. 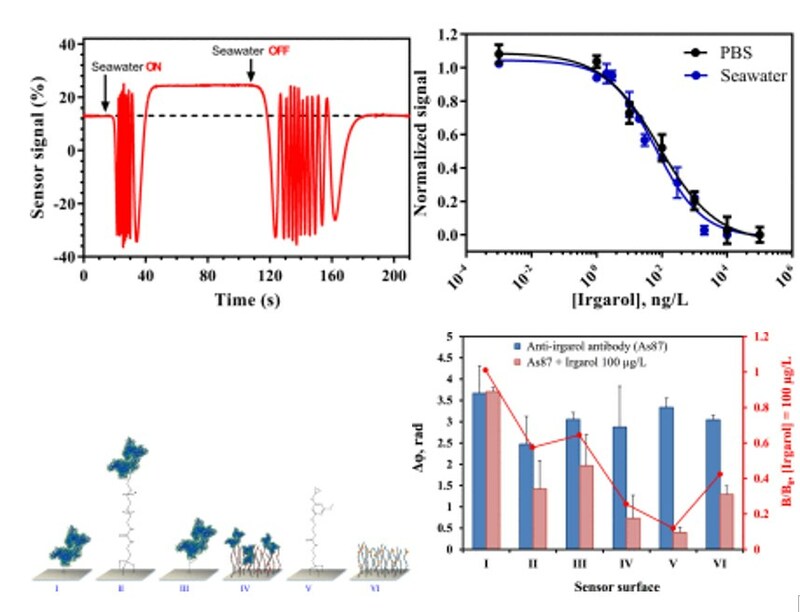 In the article, an interferometric nanobiosensor for the specific and label-free detection of the pollutant Irgarol 1051 directly in seawater has been settled. Due to the low molecular weight of Irgarol pollutant and its expected low concentration in seawater, the sensor is based on a competitive inhibition immunoassay. Parameters as surface biofunctionalization, concentration of the selective antibody and regeneration conditions have been carefully evaluated. The optimized immunosensor shows a limit of detection of only 3 ng/L, well below the 16 ng/L set by the EU as the maximum allowable concentration in seawater. It can properly operate during 30 assay-regeneration cycles using the same sensor biosurface and with a time-to-result of only 20 min for each cycle. Moreover, the interferometric nanosensor is able to directly detect low concentrations of Irgarol 1051 in seawater without requiring sample pre-treatments and without showing any background signal due to sea matrix effect. Nanoligent, S.L., the company stablished on March 2017 by professors Dr. A. Villaverde and Dra. E. Vázquez from NANBIOSIS Unit 1, professor Dr. M. Mangués from NANBIOSIS Unit 18, and entrepreneur Dr. M. Rodríguez is highlighted in la Vanguardia. Beatriz Macías García, researcher at NANBIOSIS U23. Assisted Reproduction, is co-author of the article “Seminal plasma influences the fertilizing potential of cryopreserved stallion sperm”, publish by the Journal Theriogenology. Seminal plasma (SP) contains proteins that may influence cryosurvival and prevent capacitation-like changes due to freezing and thawing. The objective of this study was to investigate the effect of adding pooled SP from “good” (GF) or “bad” (BF) freezer stallions on sperm cells’ fertilizing ability. “Good freezers” refers to stallions that usually produce ejaculates which can withstand cryopreservation, whilst “bad freezer” stallions produce ejaculates which cannot tolerate the freezing process. A heterologous zona binding assay with in vitro matured bovine oocytes was used to assess the binding ability of equine sperm cells as a possible alternative to artificial insemination trials. The effect of adding SP i) prior to cryopreservation; ii) after thawing of sperm cells selected by single layer centrifugation (SLC); iii) to capacitation medium, was evaluated. Adding SP from GF stallions prior to cryopreservation reduced the mean number of sperm cells bound to the zona pellucida (ZP) compared to control (P = 0.0003), SP-free sperm cells and group received SP from BF stallions (P ≤ 0.0001 for both). After thawing SLC-selected sperm cells treated with 5% SP showed a decrease in binding ability compared with SP-free sperm cells (P ≤ 0.0001). The binding affinity of sperm cells was higher in the group treated with SP from GF than with SP from BF stallions (P ≤ 0.05). Prolonged exposure to SP impaired the ability of stallion sperm cells to undergo capacitation and bind to ZP, regardless of the source of SP (P ≤ 0.0001). The response of equine sperm cells to SP is influenced by the ability of the sperm cells to withstand cryopreservation and is affected by the timing of exposure and the origin of SP. Customization of the protocol for individual stallions is recommended to optimize the effect. NANBIOSIS researcher Iñaki Ochoa, interviewed in the Heraldo de Aragón criticizes the administrative obstacles to science imposed by law. More than three hundred researchers have signed a manifesto in which they denounce that some provisions of the new Spanish law on public contracts prevent them from acquiring normally the material they need for their work. A law that originally aimed to fight corruption is criticizes by scientists becxause of it is causing a serious situation of inoperativeness and inefficiency. The main problem at this time is that the new regulation applies the limit of expenditure per provider of 15,000 euros per year without the need to process a public tender to the University as a whole (as to any public entity), prevoiusly this limit appliied to each research group but the amount is obviously insignificant for all the research groups of a University. 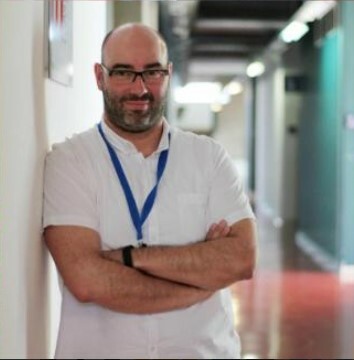 The professor of the Faculty of Medicine, Iñaki Ochoa,Researcher at NANBIOSIS Unit 13 advocates changing the rule that limits public contracts by not considering it “something reasonable”. As part of the Applied Mechanics and Bioengineering group of the Aragón Engineering Research Institute (I3A), he defended the need to protest to change things: “If I need a reagent to take samples in a patient that is going to be operated in a few weeks, I can wait two months until your purchase is authorized », alert. In your specific case, when working in the analysis of brain tumors, the opportunities to access surgeries are limited.